A specific medication may be improper for a particular patient for any number of reasons. The medication in question is not intended to treat the condition a patient has. The patient has an allergy to a particular medication and it is prescribed anyway. The patient has a medical condition that should preclude them from using the medication. The patient is taking another medication that should not be taken in combination with the medicine in question. Sometimes a pharmacist will give you the wrong medication. 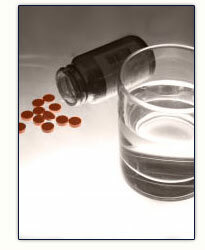 If you have a problem with improper medication, call the Medical Malpractice Law Firm now. The Medical Malpractice Law Firm has successfully litigated many medical malpractice cases involving improper medication. If you need a medical malpractice lawyer in Dallas, call The Medical Malpractice Law Firm.